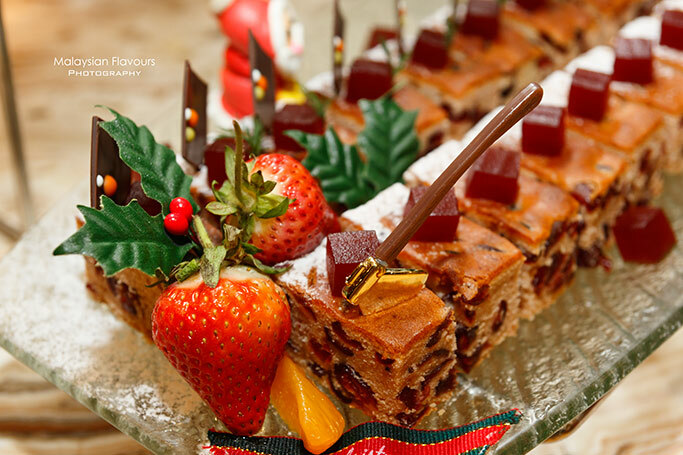 Welcome the jolly celebration of Christmas and New Year with wide spread of local and international flavours at Cinnamon Coffee House, One World Hotel Petaling Jaya. 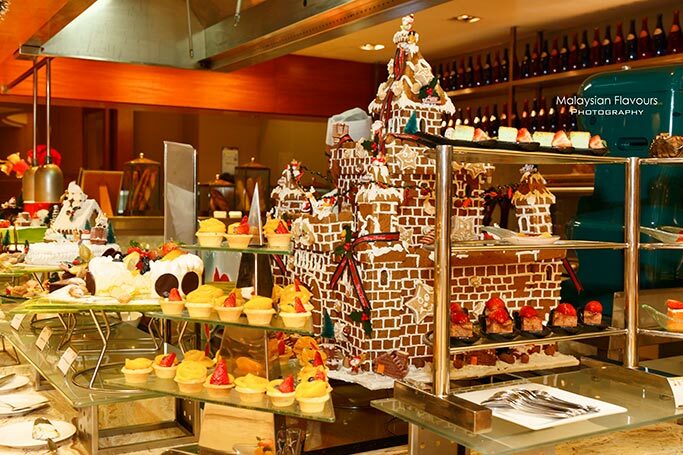 The culinary team at Cinnamon Coffee House have put together delightful buffet to commemorate the ending of the year, and the beginning of the new. 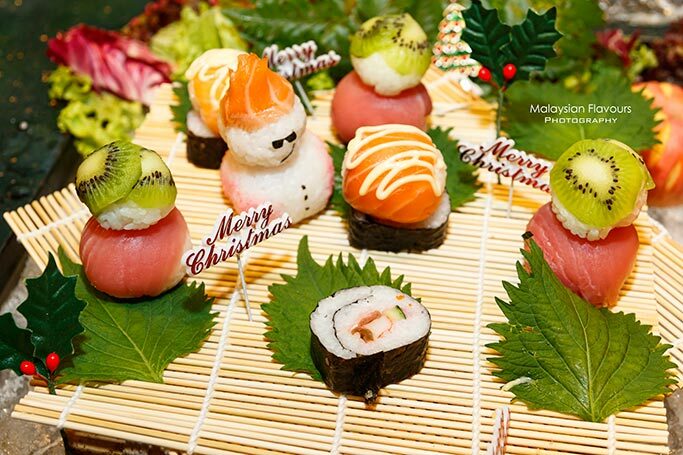 The buffet is priced at RM128++ per person on 24th, 25th and 31st December 2014, 6.30pm-10.30pm. 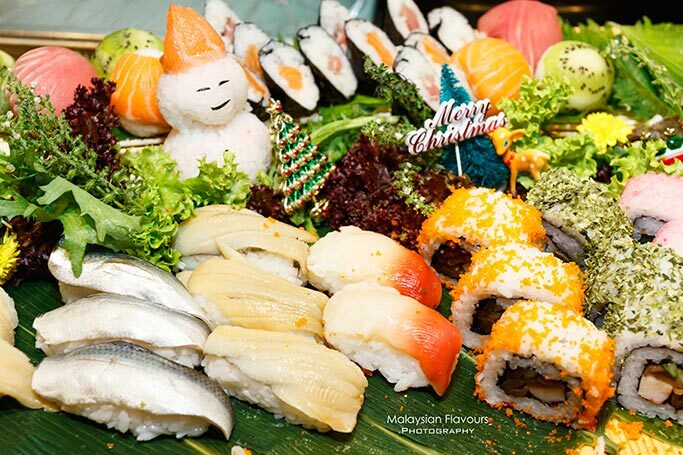 For hi-tea buffet, it is priced at RM85++ per adult, available on 25th December 2014 and 1st January 2015, 12noon-4.30pm. 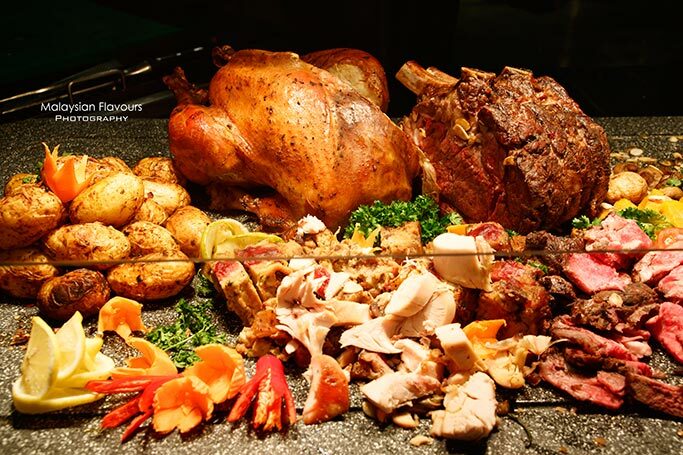 2015 New Year dinner buffet is priced at RM108++ per adult. ..Followed by Octopus and Buttered Fish, Salmon Sashimi and Futomaki Rice Rolls, Ebi tempura from Japanese counter. Pizza station brings you freshly baked pizza such as Beef Bolognese Pizza, Thai Chicken Fillet Pizza and Seafood Pizza. Hop over to pasta corner and get your pasta cooked upon order. Have your pasta in penne, spaghetti, fettucini stir-fried in aglio-olio, carbonara or bolognese style with your choice of ingredients. 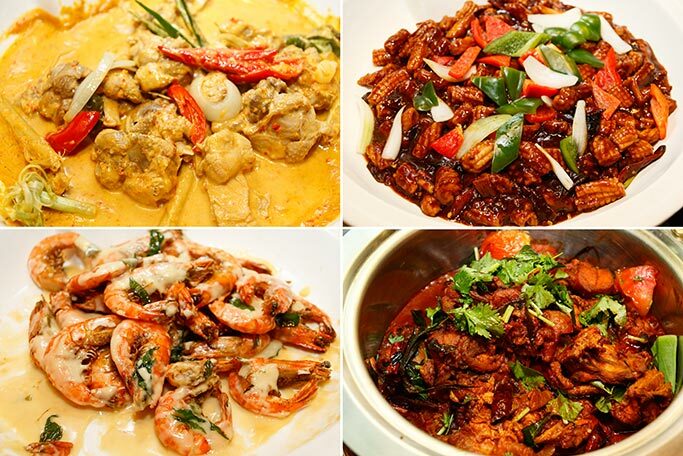 Make a beeline for the main courses with options like the Boneless Lamb Leg with Ratatouille, Seared Buttered Fish with Tomato and Basil Sauce,Roasted Chicken with Vegetable Caponata, Oven Baked Minute Steak withNatural Juice, Au Gratin Lamb Cutlets with Melted Cheese and Garlic MintJuice to name a few. 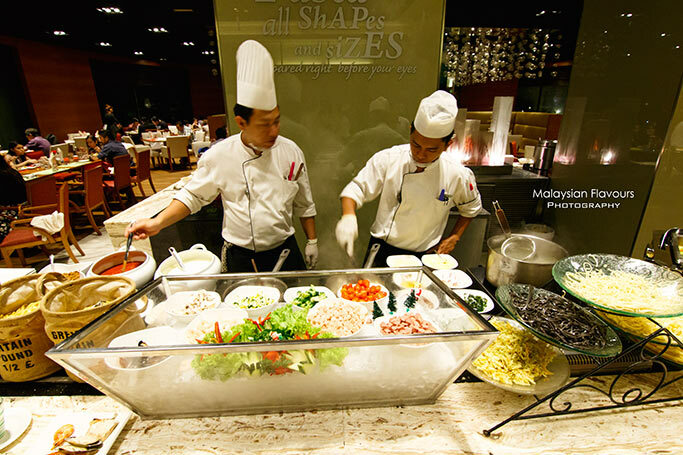 Local delights including rojak mamak, satay, fish head curry add on the buffet varieties, together with Chinese fares like Peking Duck, Dim Sum, Bean Curd and Mushroom Braised in Sze Chuan Style, Fried Tiger Prawn with Butter Sauce, Wok Fried Squid with Dry Chiili Sauce, Fried Roasted Chicken with Plum Sauce, . 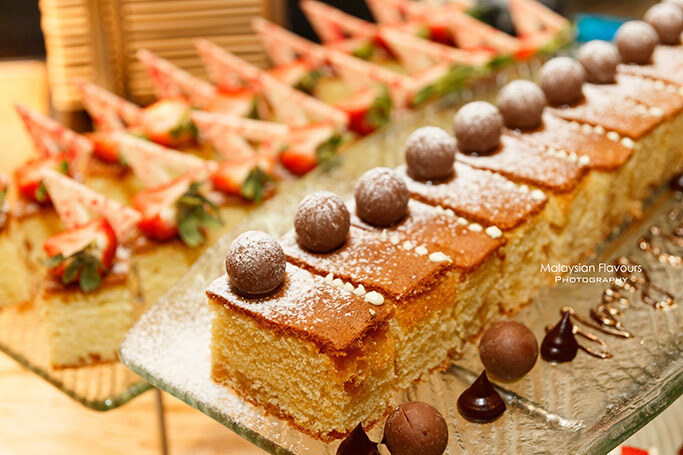 Conclude the beautiful feast with sweet delights such as the ChocolateBanana Truffle, Peach Mousseline Cake, Strawberry Linzer Tart and Strawberry Triffle in Glass. Chocolate lover can enjoy the chocolate fonduewith sweet fillings consist of Marshmallow, Profiterole, Wafer Biscuit, Fresh Crapes and Apricot. 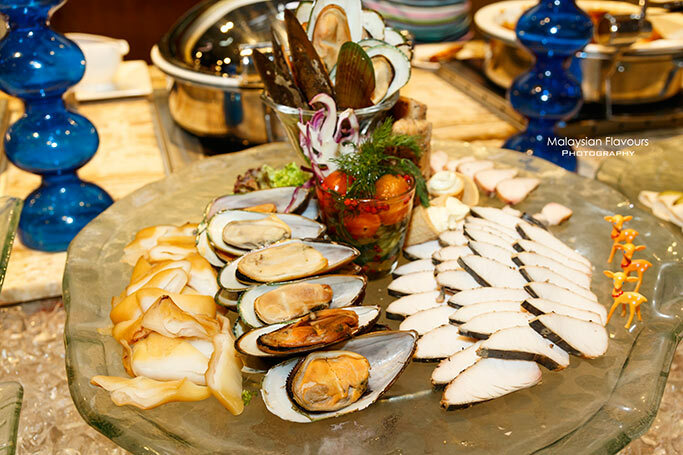 For diners who prefer Oriental delicacies, Zhuan Yuan Chinese Restaurant at One World Hotel has also whip up an array of festive cuisines that combine that charm of East and West.